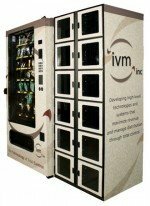 DENMARK VENDING MACHINE COMPANIES! These Denmark Vending Companies may offer Snack, Soda, Drinks, Food, Deli, Coffee, Healthy vending machines, Micro Markets, Amusement Games, Repair services and more! These suppliers are listed below alphabetically by company name, please contact them direct for more information about their vending services and products they offer. VENDING DENMARK – Dansk Forening for Automatforplejnig (DAFA) Kalunoborg, DENMARK. Contact Ole Lauritzen. Easy Buy Aps – Denmarks Vending Machine service supplier. The European Vending Association represents the whole of the vending industry: machine, machine component and accessories manufacturers, ingredient suppliers and operators.